The “Grid”iculous Class will focus on Grid-based tangles with the new concept of fragments and reticula! Class project will be able to be framed as a wall decoration or a gift. 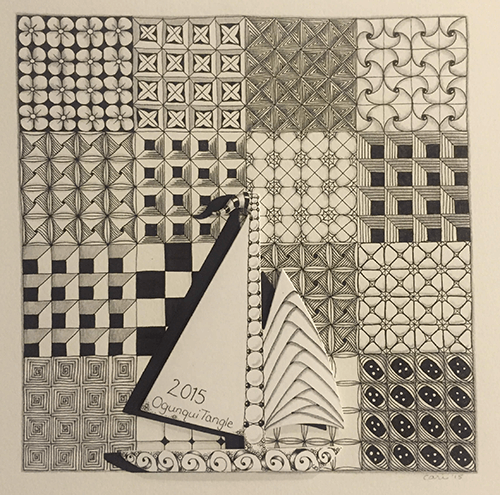 Successful completion of the Zentangle® Basics Class is a pre-requisite. Bring mini-tools kit to class. Stencils are available to borrow. Class fee includes Opus Tile and Mat. Extra supplies are available for sale. Stencils for sale as well.